52,344 (July 2015 est.) $682 million (2013 est.) $13,300 (2013 est.) Financial assistance from the U.S., tourism Islands in the North Pacific Ocean Commonwealth in political union with the U.S.
Fourteen islands in a roughly north-south chain make up the Commonwealth of the Northern Mariana Islands (CNMI), which spans 376 miles in the North Pacific Ocean. These islands and Guam comprise the Mariana Archipelago. The three southernmost islands, Saipan, Tinian, and Rota, are the largest and most populated, while the northern islands are volcanic in origin and sparsely populated or uninhabited. Chamorro migrants from Southeast Asia initially settled CNMI and Guam. Spain colonized the Mariana Islands in 1668 and the Spanish ruled until the Spanish-American war. Under Spanish colonialism, many Mariana Islanders were relocated to Guam or died from European diseases introduced to the islands. New settlers from the Philippines and Caroline Islands were brought to repopulate the Northern Mariana Islands, and nowadays both Chamorro and Carolinian peoples are considered indigenous to the islands. Germany purchased the Mariana Islands in 1899, followed by a period of colonization by Japan that lasted until World War II when the U.S. military invaded. After the war, the islands were administered by the U.S. until 1976 when a covenant to establish a commonwealth in political union with the U.S. took effect. Tourism is a main driver of the CNMI’s economy, along with substantial development assistance from the U.S. Several U.S. military air and naval stations add to the population and economy. Directly north of Guam, CNMI is located in a belt of high tropical cyclone activity. Thus, CNMI is at risk of experiencing very powerful storms on a routine basis. In 2002, Super typhoon Pongsona struck the southernmost island of Rota, producing an enormous storm surge of 22 feet and resulting in $30 million in damage that left 200 people homeless. Although there is uncertainty as to the effects of climate change on storm tracks and intensities, this could become a key climate change issue for CNMI. The Northern Mariana Islands experience drought at times during the dry season (December to June) and especially during strong El Niño years. As for other Pacific Islands reliant on ocean and coastal resources for tourism, subsistence, and traditional practice, the combined impacts of increasing temperatures, changing ocean chemistry, and sea-level rise, could be devastating for economies, livelihoods, and cultures. In 2005, the CNMI government, together with other Pacific Island governments, endorsed the Pacific Islands Framework for Action on Climate Change, which established principles, timelines, and outcomes for building capacity to be resilient to the impacts of climate change. In 2012, CNMI convened the Climate Change Working Group, comprised of representatives from 33 participating CNMI and federal government agencies, business and tourism associations, and non-governmental organizations. The Working Group is identifying valuable assets and vulnerabilities to climate change, in an effort to the lay the foundation for adaptation. 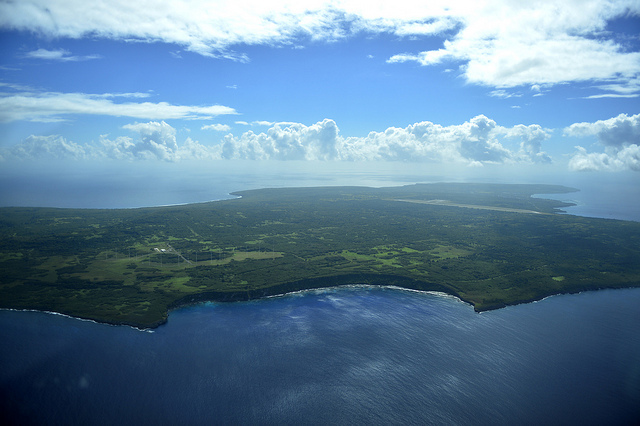 Climate change vulnerability assessments have been completed for the islands of Saipan, Tinian, and Rota, and include spatial data and mapping.